The last time we wrote about the UCCS Club Hockey team, hope for the team’s future was high, and included the prospect of the team becoming an NCAA Division-II team sometime in the future. According to UCCS Athletic Director Nathan Gibson, that goal will not happen any time soon. Those words run contrary to the hopes of Club Hockey Vice-President Jackson Appelquist, who was previously interviewed in October about the Club Hockey team and could not be reached for comment for this story. At the time, Appelquist, a sophomore majoring in marketing at UCCS, said that he hoped to eventually transform the team into one that competes in intercollegiate competitions through the NCAA. The issue, said Gibson, is not with the quality of the team or how seriously they are taken, but with a host of other hurdles that accompany the creation of a new NCAA program. Promoting a club team to an NCAA team at UCCS is not entirely unheard of. It is what happened with the baseball team three years ago. And with the construction of the new Mountain Lion Park, the still-young program has shown recent signs of growth. But according to Gibson, the creation of another new NCAA team comes with many obstacles. These include Title IX regulations, the current lack of facilities and monetary costs. “Colorado College (CC) has a budget, as I have been able to research, for hockey that reaches over $3 Million annually,” said Gibson. He then added that $3 million is below the national average and does not include the cost of renting or building a facility, an additional expense that UCCS’ athletic department would have to incur. Title IX, according to Gibson, is an issue not only for Club Hockey, but for the formation of any other new NCAA team. During a conversation last fall, Gibson explained that Title IX would also be an obstacle for UCCS’ club football team, if team leaders ever sought Division-II status. Under federal law, Title IX requires that equal athletic opportunities be available for both men and women. This means that if UCCS were to create a new men’s team such as hockey or football, the school would also have to create a new women’s team. This adds on the costs of a women’s team to the already unmanageable costs of a new hockey team, compounding the overall expense of a new program. In 2017, the creation of the UCCS Baseball program was offset by the creation of the women’s Lacrosse program, therefore satisfying Title IX requirements. 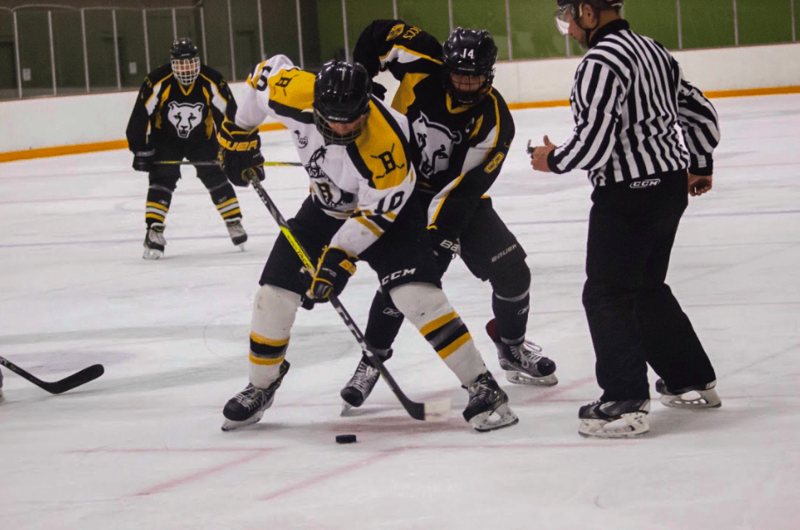 As it stands, UCCS Club Hockey will maintain its club status, competing against other schools in the American College Hockey Association (ACHA). The team continues to practice Tuesday nights, and traveled to new Mexico the weekend of Jan. 25. According to the Gallogly Recreation and Wellness Center calendar of events, their next game is on Feb. 9, beginning at 9:40 p.m., at the Sertich Ice Center in Colorado Springs.